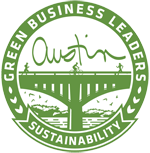 Eco-Audit Grant Recipient: Have no fear, Green Team’s here! From creating distinctive green “Live Sustainably” t-shirts and “Composting: it’s a pile of fun!” stickers, to gathering happy parent volunteers and administration support, Kate Hoffner knows how to build an army of young student leaders, unafraid to use their big presence and take on challenges at their own school. Alongside her friend and fellow teacher Katy Holguin, Kate has led her students in transforming Hill Elementary’s Green Team from a small after-school club to one of the school’s most high-profile and impactful organizations. After completing a waste audit and submitting seven video applications, like this one, Kate’s students received Eco-Audit Grants for five unique, student-driven projects that aimed to divert 35,000 pounds of waste from the landfill over 12 months. Using EcoRise’s Design Studio framework, the kids first designed and pitched their ideas to one another, finally using their funding to install a comprehensive recycling system in their campus’ public spaces, host a zero-waste lunch competition, and educate their peers on sustainability in a variety of ways. At EcoRise’s Student Innovation Showcase at City Hall, Hill students enjoyed telling Mayor Steve Adler in person about their work. 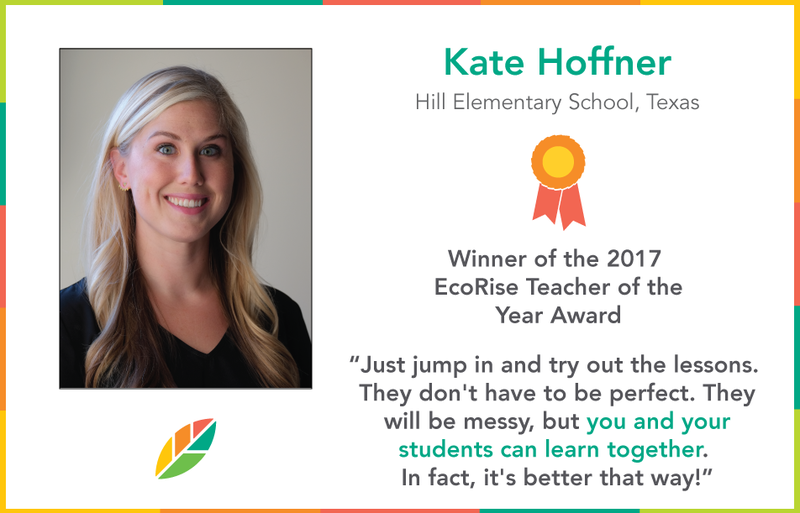 And Kate was named the 2017 EcoRise Teacher of the Year for her notable commitment to student innovation and sustainability. She also shared her team building expertise at the fall 2017 Texas Association for Environmental Educators conference. But she won’t stop there. Next, Kate’s students plan to audit idling cars during school pick-up and drop-off to reduce unnecessary emissions and keep the power of Green Team charged.